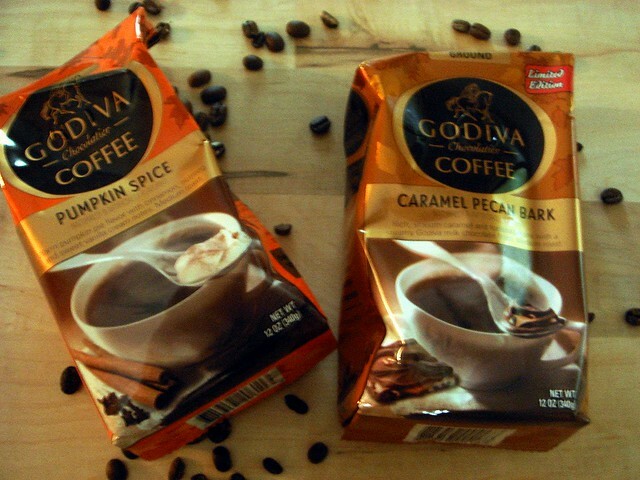 Just in time for fall, I got to try two Godiva coffees thanks to the Foodbuzz Tastemaker program. 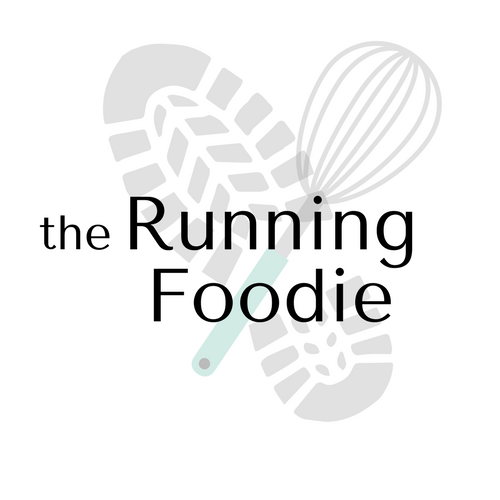 I immediately set out to recreate a drink that has made its way around the blogosphere, but in a somewhat different manner. Cold brew coffee is a method of brewing coffee without heat. Water is simply mixed to ground coffee beans and let set for 12 hours. The end result is a coffee concentrate that brings out the flavors of the roast without the bitterness. 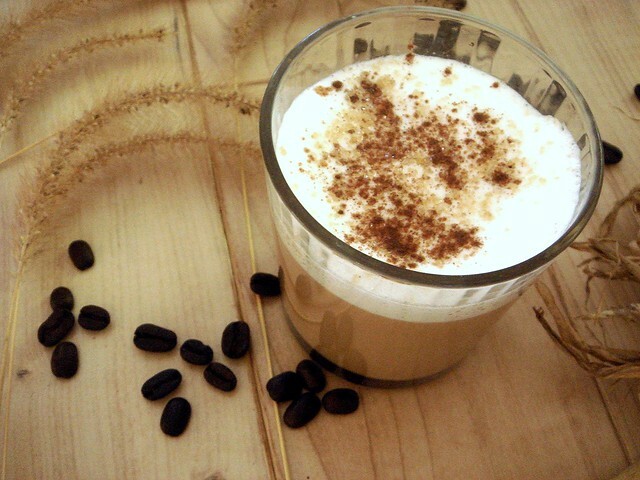 To make a latte, you need espresso, which means you also need an espresso machine. I don't have one, so I used the Godiva Pumpkin Spice coffee as the base for my cold brew concentrate. The aroma is already wonderful, but I wanted to heighten it a little more so I added a few extra spices, ground cloves, cinnamon, and freshly grated nutmeg. Brown sugar, a pinch of salt, and pumpkin puree complete the deal. By adding the pumpkin puree to the mix as it brews, you aren't left with the bitter, raw taste you'd get if you mixed it straight into your drink. Stir in the water, and let sit for 12 hours at room temperature. When you're ready to strain the mixture, line a fine mesh sieve with two coffee liners and place over a bowl. 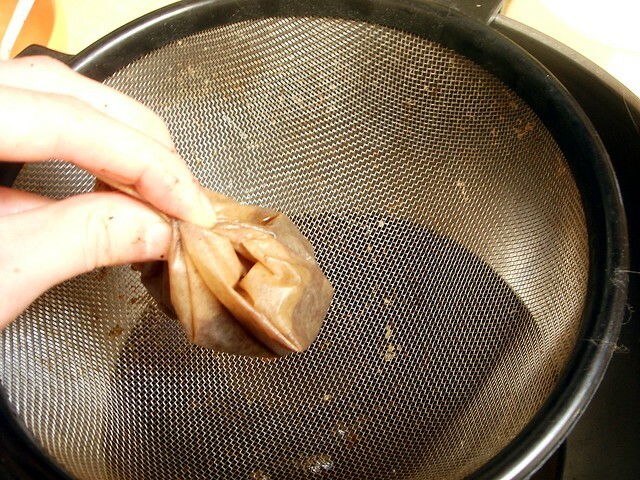 The quickest way I found to strain the liquid is to pour the coffee a little at a time inside the liners, then carefully create a packet by bringing the edges of the liner together. Gently squeeze the liquid through. If there are any coffee grounds, shake the liner over the trash and reuse, repeating the process until all the coffee has been strained. Typically, the ratio for the concentrate to liquid is 1:1, but I like my coffee a little stronger so I used a 3:1 ratio. Do whatever you prefer. To sweeten, I made a small batch of sugar syrup so that it would dissolve more easily. Finally, I topped my latte with milk foam and sprinkled a little pumpkin spice sugar on top. I really enjoyed how this turned out. I liked how the spices came through and I thought the coffee itself had a good flavor. I'm going to brew it either in the pot or French press tomorrow morning to see how it tastes that way. So, kind folks, are you a fan of the pumpkin latte, or not? What's your favorite fall drink? Pour coffee into a pitcher or large glass jar. Stir in brown sugar, spices, and salt. Mix pumpkin puree with water and pour into pitcher. Stir to combine the coffee grounds and water. Cover and let sit for 12 hours at room temperature. Before straining, stir concentrate once. Place a fine mesh sieve lined with two coffee filters over a bowl and pour a little of the liquid at a time through the sieve. 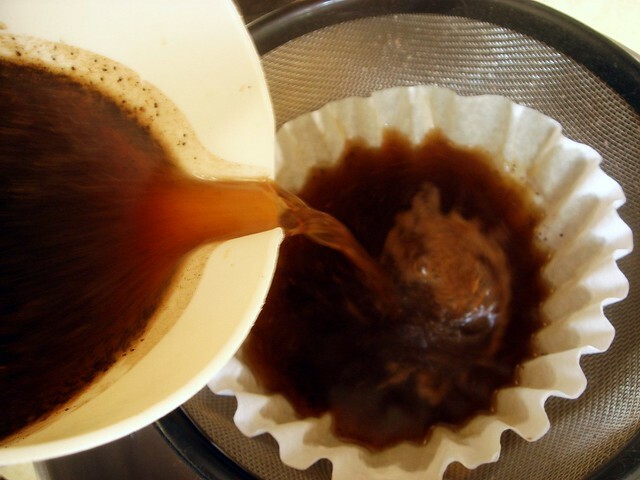 Gather the ends of the coffee filters and gently squeeze liquid through, tossing out any coffee grinds between batches. To serve, pour 1/2 or 3/4 cup coffee concentrate into a glass. Add 1/2 or 1/4 cup milk, and 1 tablespoon of sugar syrup if desired. Stir. 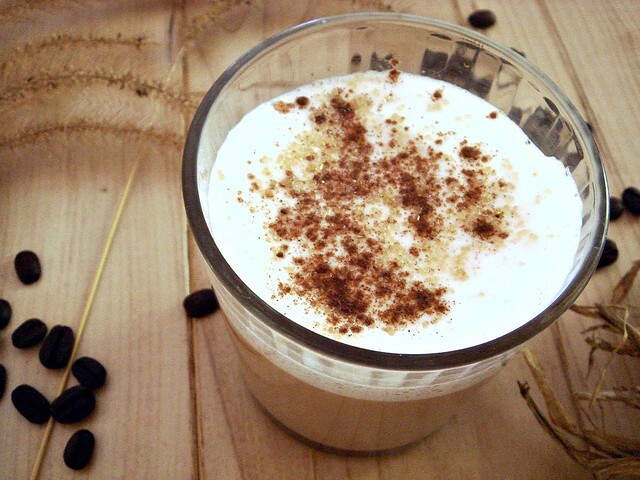 Top with milk foam or whipped cream. For a hot latte, heat the coffee concentrate, milk, and a tablespoon of pumpkin puree and sugar syrup on the stove until desired hotness. Top with whipped cream or milk foam. Yum! I've never tried cold brewing coffee but this method looks awesome! Love all of the extra spices and sugar in it! I have a sneaking suspicion that the godiva website and I are going to become fast friends. I need this coffee! Taylor ~ You definitely have to give this method a try. 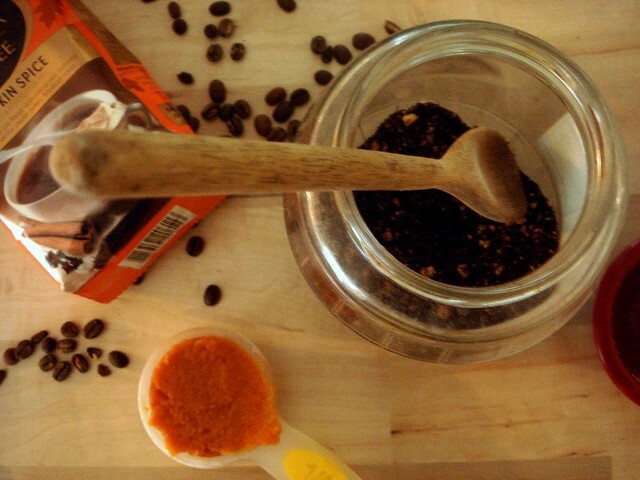 The spices really heighten the coffee, and will work with regular, unflavored coffee, too. Joanne ~ It is good stuff! This sounds SOOOO good! We love pumpkin spice & coffee. Who doesn't?!! !